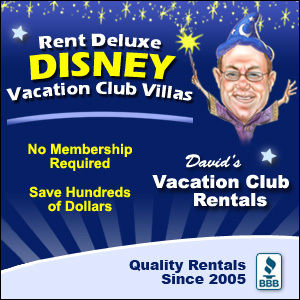 Guests who visit Walt Disney World are sure to have a magical time from the very first attraction to the last moments of the vacation. 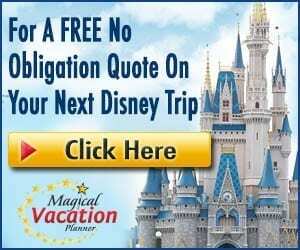 With such magical memories to be made, guests definitely want to remember as much as possible of their vacation and be able to look back fondly on special moments. One of the best ways to remember a Walt Disney World vacation is by taking plenty of photos along the way. While guests love to pose formally throughout the parks and take pictures of places or attractions that they like, selfies are also a great way to create memories. 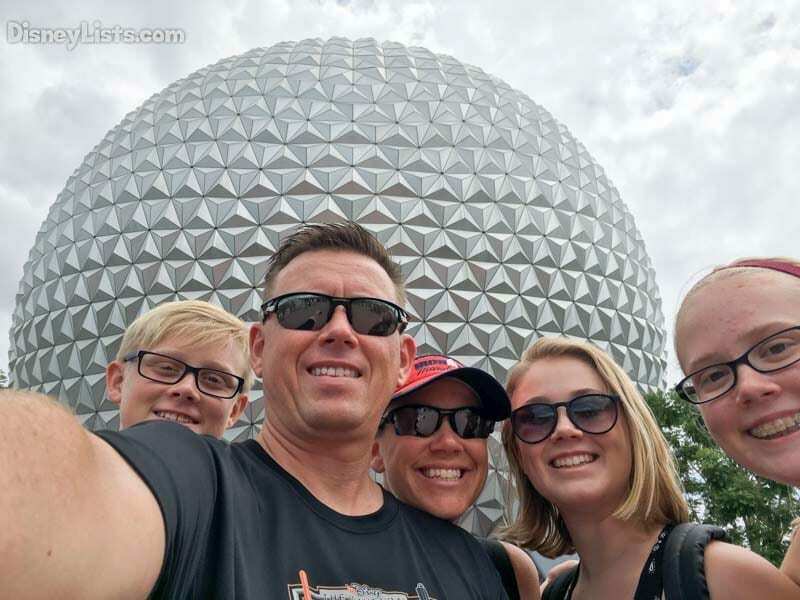 Selfies can be taken in tons of places throughout the parks, water parks, Disney Resorts, and Disney Springs and there are some awesome places and moments that are perfect for a selfie. 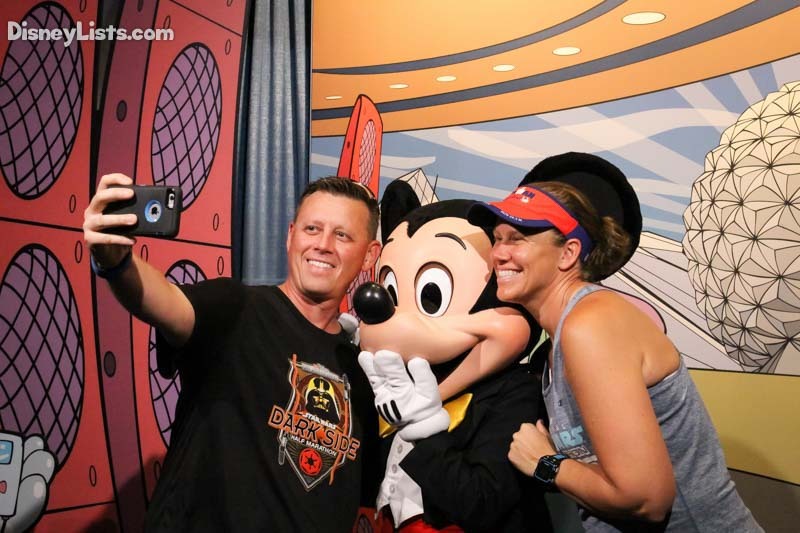 From iconic backgrounds and silly accessories to on ride photos and lovable characters, there are plenty of selfies that guests have to take while on vacation. Here are the top eight selfies that guests must take at Walt Disney World. One of the most recognizable buildings in all of Walt Disney World is Cinderella Castle in the Magic Kingdom. The beautiful structure features soaring blue spires with gold accents, tile mosaics, stain glass windows, and many more charming details for guests to enjoy. While many guests love to have their photo taken by the Partners Statue with Cinderella Castle in the background, they can also get creative with selfies that can be taken from all over the park. Since Cinderella Castle is so large, there are plenty of unique places to view it from making it possible to take some unique and amazing selfies in the Magic Kingdom. Like Cinderella Castle, Spaceship Earth is the large structure which welcomes guests into Epcot’s Future World. The geodesic sphere is truly unique in that it is decked out with over eleven thousand futuristic silver triangles. Guests who visit the park can pause near Spaceship Earth to take plenty of unique selfies including pretending to hold the structure up with one hand. Spaceship Earth is also large enough that it can be seen from many places in Epcot, so guests are sure to come up with plenty of selfie opportunities. Disney’s Animal Kingdom also features a central structure which helps to draw guests into the park. 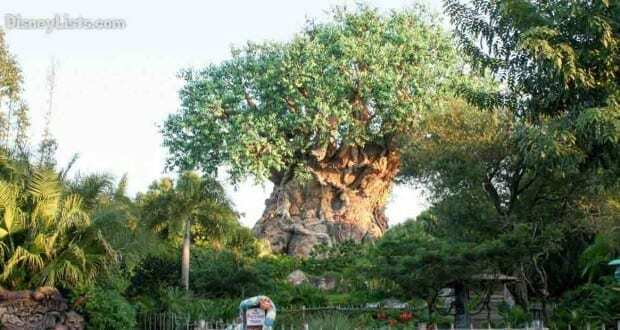 The Tree of Life is a truly massive thing with thousands of vibrant green leaves on gently swaying branches and a huge trunk which is intricately carved with hundreds of animals. Taking a selfie with the Tree of Life is sure to be a memorable moment as guests can feature all sorts of different animals from the trunk depending on where they stand in the park. Also found in Disney’s Animal Kingdom is an attraction that is extremely popular with guests. Kilimanjaro Safaris invites guests on a two-week safari in the Harambe Reserve where they can experience up close encounters with animals like elephants, giraffes, hippos, zebras, lions, and more. Since each experience on Kilimanjaro Safaris is different, guests can visit multiple times and come away with totally unique selfies featuring different animals in the background. Just remember to hold onto the camera or phone tightly as the ride can be bumpy at times! One of the most popular attractions in Walt Disney World can be found in the Pixar Place section of Disney’s Hollywood Studios. Toy Story Mania shrinks guests down to the size of toys and invites them to compete in a series of 3D midway games hosted by the characters of the Toy Story series. Since the attraction features 3D technology, guests are given special glasses to wear for the experience. A great selfie to bring home from a Disney vacation can be taken waiting for the attraction to begin while donning the 3D glasses. No experience in Walt Disney World is quite as memorable as meeting the mouse himself. Mickey can be found in several places throughout the Walt Disney World Resort and guests are welcome to have professional Disney photographers capture their special interactions while meeting him. In addition to the photos taken by a professional, guests can also take a great selfie with Mickey that will help them remember how amazing it was to meet him. The wildest ride in the wilderness can be found in Frontierland in the Magic Kingdom inviting guests into the mining town of Tumbleweed. Big Thunder Mountain Railroad whips guests around mines, caves, and the town of Tumbleweed on a wild adventure that they won’t soon forget. Those brave enough to hold out their cameras on the bumpy ride can capture an amazing and kinetic selfie while enjoying a ride on Big Thunder Mountain Railroad. Guests who are looking to take totally unique selfies in Walt Disney World should definitely spend some time in Epcot’s World Showcase. The eleven pavilions featured there have many gorgeous details, architecture, and gardens for guests to spend plenty of time exploring. Those who stop to take in the beauty of World Showcase are sure to find some amazing places along the way to take some gorgeous selfies in!